If you've ever had a problem with your phone and asked for help there's a big chance that someone recommended you to clear some app cache or wipe the cache partition. Let's see what that means and how it's done. Every time you open an app your system needs to retrieve a lot of data for you to use it. This process can take some time and it's most noticeable the very first time you open that app. Android and your apps have a nice trick to speed things up. Part of that data will be cached so it will be accessed more easily the next time you use the same app. This can include app components, logs, data previously downloaded from the Web, etc. 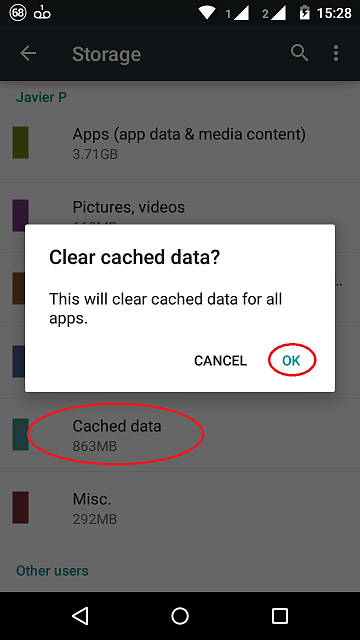 You can think of cache as a temporary storage where your system will manage to get information without needing to search, compute and download it again and again every time you use the same app. As a result less resources will be spent in the process (battery, CPU cycles and even Internet connection), everything will run faster and you'll be happier using your phone. It's a good system, so if your phone is running smoothly and you don't have any problem with your apps then you don't need to worry about those cache files. But from time to time some of these files can get broken, cluttered or simply obsolete after a big update. Then it's time to clear things up and force Android to start building the cache, or at least part of it, from scratch. None of these methods will delete any personal information. They are pretty safe and can be one of the first steps to try when fixing a problem. Take notice that some phones can have slightly different settings to the ones explained here. This is especially recommended after a system update or if you're suffering some performance or battery drain issues with your phone. In the cache partition the system keeps log files, temporary copies of apps you downloaded and some other temporary files that may be causing some problems. 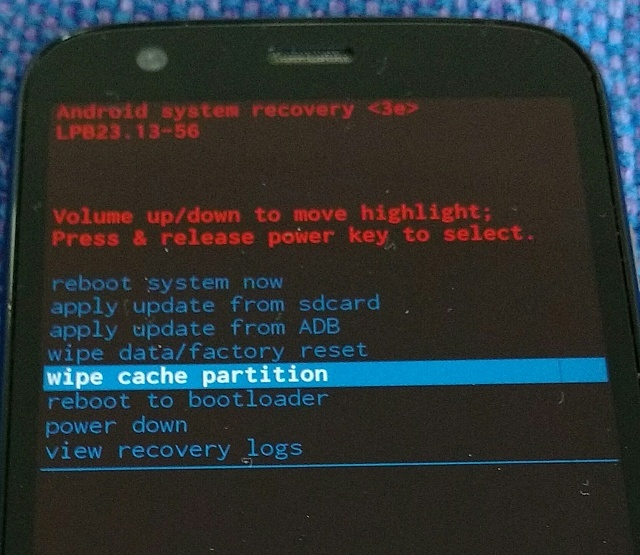 The instructions to wipe the cache partition are specific for your device and they involve the use of your physical buttons to boot into recovery mode. Depending on your phone the process can be completed in seconds or could take up to ten minutes. Browse in these forums or in your manufacturer/carrier page about the specific details. This process is completely different from clearing your apps cache, so if you're trying to free space in your phone it won't help. - Some options in the Recovery menu can wipe all your data. Make sure to select the right option. Update. The cache partition has been removed in devices that include the new seamless updates. settings > apps > select that particular app > tap on clear cache. This can be one of the first things to try if an app is giving you a hard time. Just remember, some of the apps that came pre installed in your phone will be only found in the "all" tab. Some apps can create big cache files (browsers, apps heavy on media files, ...). The size of these files will depend on your use and mostly they store data downloaded from the web (web page copies, thumbnails, etc). Most of these apps include in their own settings the option to clear the cache and I always prefer using it instead of the system settings. A few apps manage their cache in a very personal way. 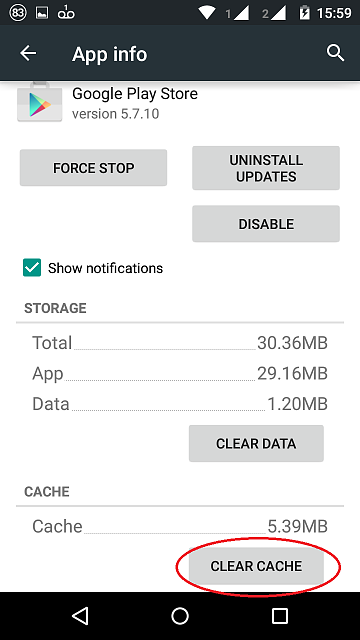 They create some cache files that are not included in the count computed under your general settings > apps and you can only delete them from those specific app settings or using a file explorer. If you go to settings > storage and tap on cached data you will delete the cache for all your apps (well, with the few exceptions noted before). This can be handy if you urgently need some extra free storage in your phone, but t's just a temporary fix. In no time your cached data will grow back, so if you are just after free space, clearing cache won't be enough in the long term. And remember, after this process every time you open any of your apps more time and resources will be spent. I personally like clearing all cached data and wiping the cache partition after a system update. There's no need to clear cache on a regular basis. Deleting your cache files frequently will make your phone run slower and use more resources. The same applies for the so called Cleaner Apps, you don't really need them and some of the features included in them could do more harm than good. You can check how big your cached data is getting in your storage settings. If you need more details there are excellent file explorers in the Play Store. They will help you to understand even better how your phone and your apps work. belodion, B. Diddy, Saros and 9 others like this. What device are you trying to do this on? Sorry for the late reply. You have an Infinix X507, right? I did a quick search and found a couple of pages where they explain how to wipe the cache partition for this device. Unfortunately the info in some of them is contradictory so I don't feel comfortable recommending you which process to use, sorry. There's no way for me to check which process is the correct one and I don't want to risk recommending you the wrong one. Search for "infinix wipe cache partition" and see what you think. Hello carabacon, welcome to the forums! I recommend you to create your own thread about this problem. Better if you do so in the specific forum for your phone. Give us more details like, phone, android version, what kind of error you get and what things you've already tried. Does clearing cache clear the saved password of the app and need to relogin to the app? Does clearing cache clear the app preferences/options settings? No, don't worry, all your personal information and changes in the settings will be kept. One nice way to fill an app's cache - and something a lot of people do. If you're watching a video or listening to music, and you want to stop, many people pause the app, then hit the home button, instead of the back button (which, if the app is properly written, will clear the cache, then close the app). That music file or video file is cached, so it stays there. If you then restart the phone, the app is no longer running, so you can't close it properly. Even if you run it again, it doesn't "remember" that it had a particular file loaded. So the only out is clearing the app's cache in Application manager, as you said. So stop using the home button to "close" apps - it doesn't close them, or clear their cache. Javier P, belodion and EgretOwl2 like this. How do I put unbranded Note 4 firmware on instead of 3 branded? Is changing display of my mobile worth it?? ?